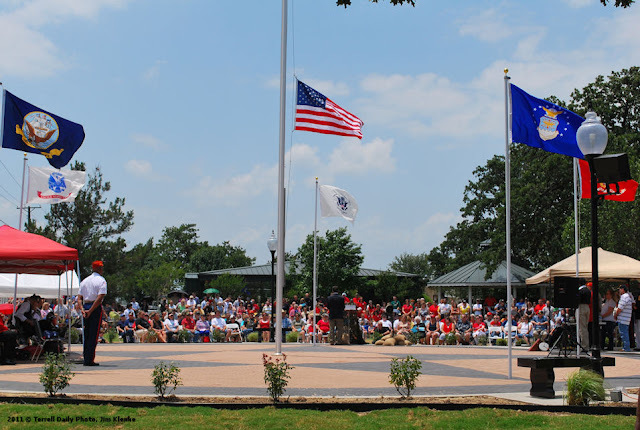 The Marine Corps League Detachment #1338 and the City of Terrell established this memorial on 30 May 2011 to honor all the brave men and women who have proudly served in the United States armed forces and to memorialize all who gave their lives protecting freedom around the world. The memorial includes the names of casualties from Terrell in World War I, World War II, Vietnam, Iraq and Afghanistan. It also includes the casualties of the British Flying Training School who died while training in Terrell during World War II. Special guests included the families of the five soldiers killed in the Iraq and Afghanistan wars. 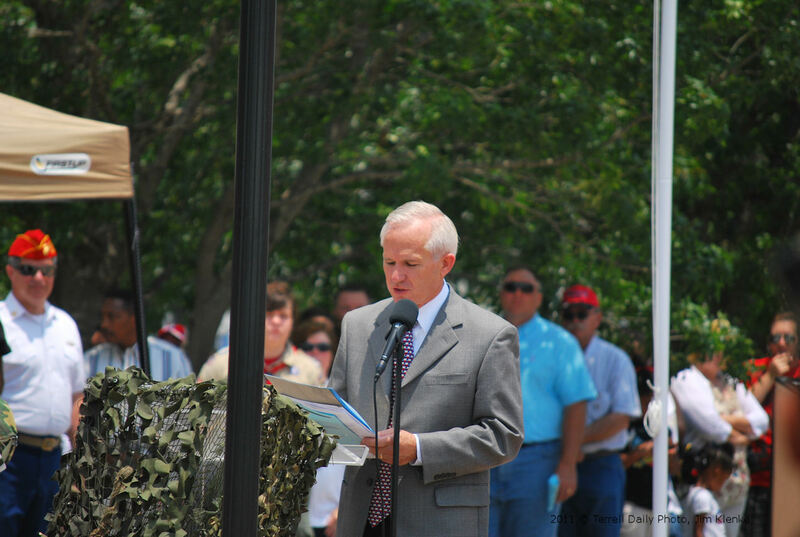 Speakers were Terrell Mayor Hal Richards, US Congressman Jeb Hensarling, Former State Rep Betty Brown, Marine Corps League Commandant Mike White and the Guest Speaker was World War II veteran James Lovell. 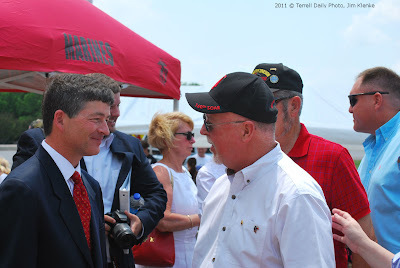 More photos from the dedication have been posted to the Terrell Daily Photo Facebook page. Following the dedication, the Boy Scouts retired two flags. I'll have a few photos of that ceremony tomorrow.